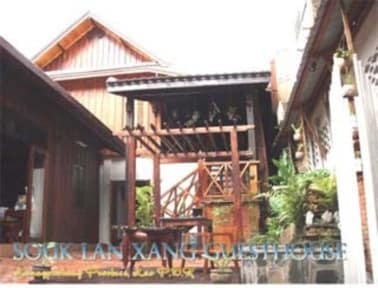 Souk Lan Xang Guest House is a Lao traditional wooden house built in 1943 and newly renovated in 2008. 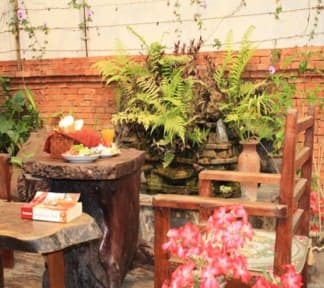 The house has kept its old unique style of Lao Luangprabang and heritage architecture, with fine wooden decoration and furniture fittings, full size comfortable wooden single or double beds, modern ensue with shower and toilet, air-conditioning and cable TV in each of its rooms. Accommodation: Family room, Double & Twins room are inculding hot water all hours, cable TV, Free WIFI, laundry service available, very reasonable rates. Service: Minivan & Tuk-tuk transfer from Airport & bus station. Now open and ready to offer you our services during your time visiting world heritage Luangprabang.